When you reach a five-year milestone, it feels right to take a moment and reflect on the path that got you there. And if you think back to the first Pittsburgh Craft Beer Week — especially if you do so right after completing the fifth — you’ll understand just how far the industry has come in that time. Were there a dozen Pittsburgh-area craft breweries back then? And will there be three or four times that many by the end of 2016? As we learned last week, it’s not just the number that should leave an impression. It’s the quality of the beer as well. Just look at this year’s collaboration beers: breweries that haven’t yet opened or got started in the last six months contributed to five of the seven official collaborations, and all were excellent. Summarizing my beer week is always a tough task. But let’s give it a try. Favorite events: I made a point to try to get to some new stuff (to me, anyway), and I liked everything I got to. A standout was Oysterfest, the annual party under the Homestead Grays Bridge put on by Blue Dust — and I’m not even a fan of oysters, although the festival’s namesakes drew huge lines all afternoon. The beer choices were unique — don’t pass up a chance to try stuff from Shawnee Craft Brewing as it shows up around here, boys and girls — and there were plenty of food trucks for those who didn’t want oysters. I was also pleasantly surprised by the Summer Craft Brewhaha, a summer seasonal preview held at Altar Bar; the selection was far from predictable and the space worked out better than I expected. I hit some staples as well: the annual Wednesday beer breakfast at Piper’s Pub featured an extra delicious menu this year, perhaps in celebration of its spot on the calendar (April 20, ahem); the Helltown Brewing cask takeover at Piper’s, this year with beef braised in the brewery’s Mischievous Brown Ale as the dinner special; and if I can help it, I will never miss an edition of the Brewers’ Olympics, the event at Grist House that puts a perfect cap on the week. Favorite beers: Here’s a great sign — the collaboration beers are more consistently good every year. With one slightly embarrassing caveat — that this North Side resident never got a taste of the Mash Paddle vs. Hipster India Red Lager collab from Penn, Spring Hill, War Streets and Allegheny City — I’ll say that the standout among the collaborations was Greenfield Bridge is Falling Down, the deliciously juicy Vermont-style IPA from Spoonwood, Helltown and two newcomers: Helicon and Dancing Gnome. I loved all of the other collaborations, but I have to give specific mention to one more, mostly because I made such a big deal about it in my beer week previews: white stouts — like Prospero, from Rock Bottom, Hitchhiker, Bloom Brew and and Eleventh Hour — work wonderfully, even if one’s brain can’t figure out in advance how a white stout might work. A few others: I really liked 5 Point Black IPA, the collaboration between Carson Street Deli and Rock Bottom; Big Boots Gose, a margarita-esque effort from the women of Pittsburgh’s Pink Boots Society; and as it starts to get warmer, be on the lookout for Grapefruit Chinookee IPA from Full Pint — it was a standout at the summer festival. Krystle Eaton, Meg Evans and Devon Murdoch enjoy a beer at Grist House Brewing in Millvale. Brewing isn’t a boys club. Just ask Krystle Eaton, one of the owners of Grist House Brewing in Millvale. 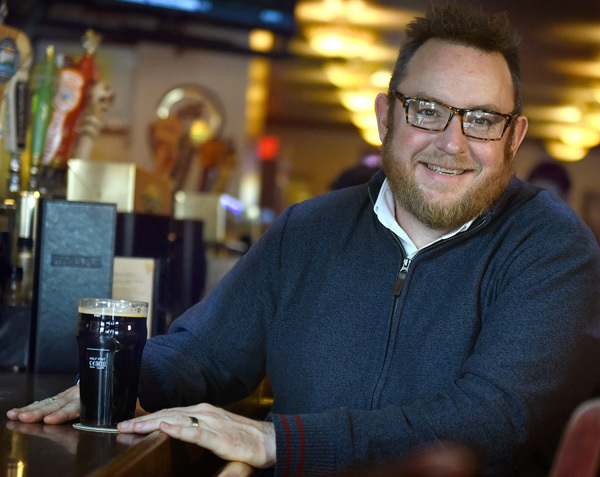 Or Devon Murdoch, who blogs about the city’s beer scene — along with food, restaurants and other libations — at penniespintspittsburgh.com. 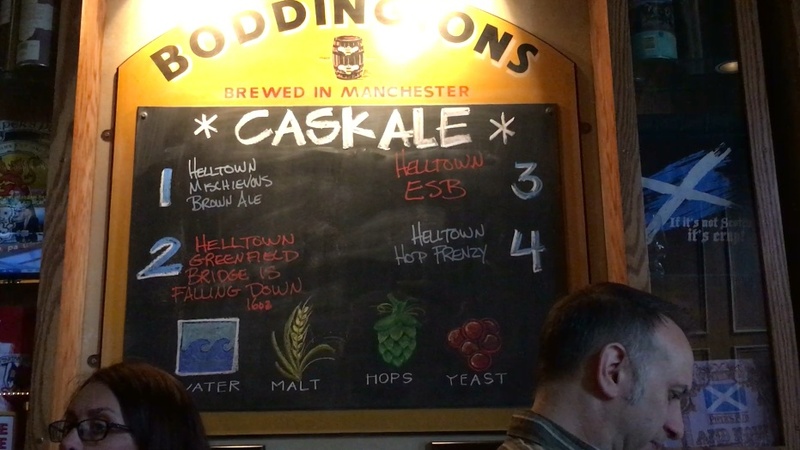 Or Meg Evans, who just took over as head brewer at Rock Bottom in Homestead. 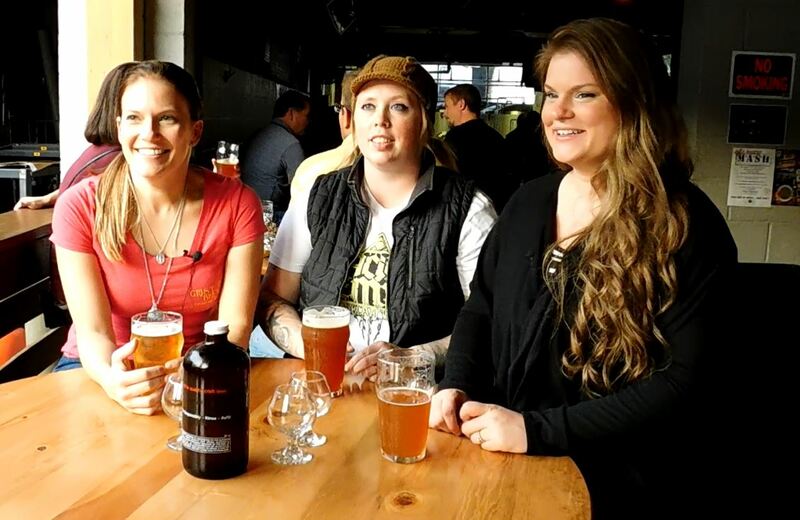 The three are the leaders of the Pink Boots Society of Western Pennsylvania, the local chapter of a national group that unites and promotes women in the craft beer industry. And since the group was founded earlier this year, its members have found plenty of support, here and as far away as Denver, at the recent Great American Beer Festival. Ms. Evans said she started thinking about organizing a local chapter after International Women’s Collaboration Brew Day last spring; that event, which resulted in a United Red Ale that raised money for the Pink Boots Scholarship fund, brought together women from all segments of the industry, and Ms. Evans said it was enough fun that she wanted the collaborations to continue. That’s resulted in tasting sessions, a trip to a local hop farm and plans for more, including training towards beer judge certification. It’s also resulted in growth; the chapter’s Facebook group already counts 45 members. Ms. Eaton said the point isn’t necessarily a hunt for equality; women are already well-established in the industry, here and elsewhere. But, she added, there is much the chapter’s members can teach each other: she knows the business side of brewing, for example, while Ms. Evans can discuss professional brewing and Ms. Murdoch, who manages the chapter’s Twitter and Instagram accounts, has a handle on marketing and promotion. Knowledge and networking are the keys, the trio says. They’ll make everyone in the industry — women and men — better for it.